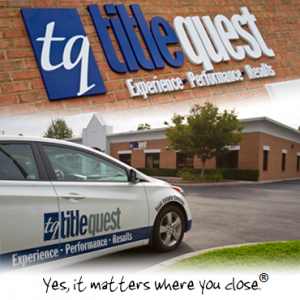 TitleQuest and its affiliates have been providing comprehensive Residential and Commercial title insurance and closing services since 2001. Our highly experienced management team members have an average of 25 years experience in all facets of title insurance and settlements. The company has grown to be a leading title agency in Southern Virginia and Northeastern North Carolina. Whether you are a buyer, seller, realtor, lender, landlord or tenant, we have the services and insurance products you need. The purchase of real estate is an important investment for your family or business. However, unforeseen problems in the recorded history of your property could cause this important purchase to be lost or adversely affected. TitleQuest and its professional team members are proud to carry on the tradition of offering peace of mind to individuals and companies as they sell, purchase, refinance or lease real property.